Probably the greatest frustration for job seekers is not hearing back from employers when they apply, email their resumes, send cover letters, leave voicemail messages and EVEN after interviewing. I totally get it, and your frustration is justified. However…your frustration is not serving you, and most employers are unlikely to change their current practices (at least, not any time soon). 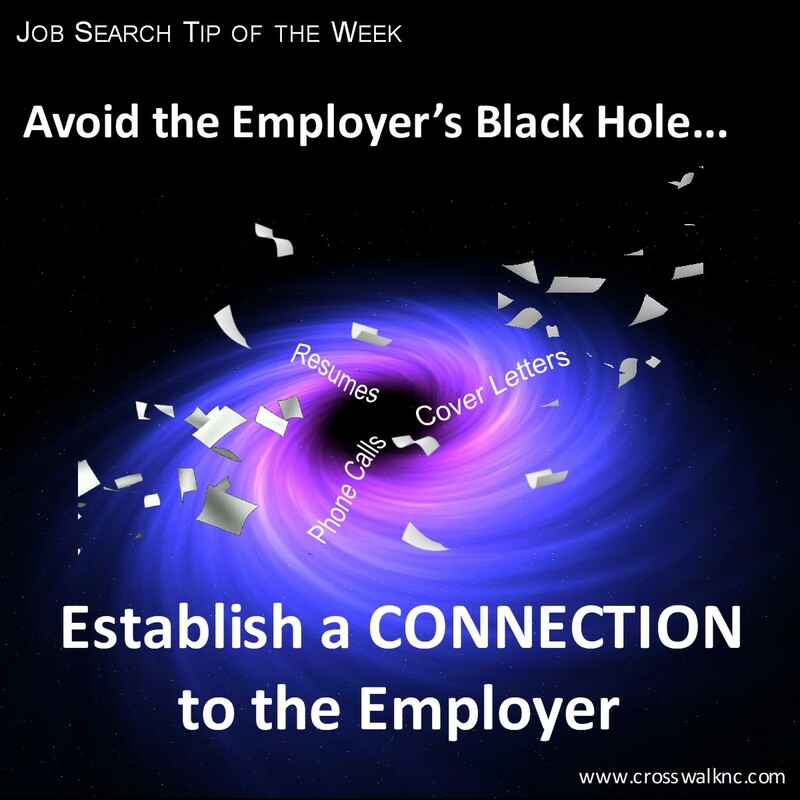 So, what can YOU do to avoid the employer’s black hole? 80% of job offers originate with some sort of connection to the employer. It could be a currernt employee or someone who has worked there in the past. These people are connected to other people at other workplaces, in the community and to their own circles of friends and family. And some of them are connected to you. When you learn of an employment opportunity, IMMEDIATELY ask yourself, “Who do I know that’s connected to this organization?” LinkedIn is an awesome tool for just this sort of leg work. If you quickly find a connection, ask them to forward your resume to the hiring manager and HR for you. Then go back and apply according to the organization’s instructions so that 1. they know you can read and follow instructions and 2. your information is now in their database. Continue working the personal connection as well. 5. Tell you about the organization, what it’s like to work there, recent challenges and achievements, etc. If you can’t find anyone to connect you to the organization, then start digging on Google to find out the Recruiter’s name and email address and/or the hiring manager’s name and email address. Put your Sherlock Holmes hat on because you may need to get creative to uncover this sort of information. For instance, you may know a name but not their email address. Look at the organization’s contact page on the Internet for insight into how they structure their email addresses. Then you can test your theory by Googling your deduced email address. More than likely, an article, directory or even a job ad will be displayed containing that email address. 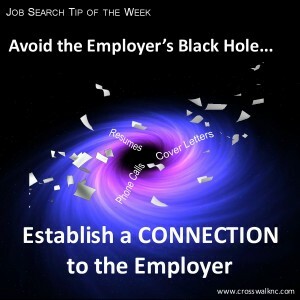 Finding a person to connect you to your organization of interest is the best way to avoid the employer’s black hole. The second approach is to write a cover letter that really gets the reader’s attention and very clearly connects your experience and “flavor” of contribution to the organization’s needs. You can also use the cover letter to “connect” with the organization’s purpose or mission if you share a passion for their business. 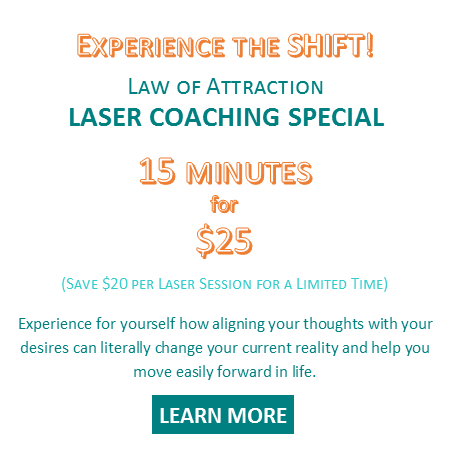 This can be particularly effective in small organizations in which the really big payoff’s are often associated with the impact they are having in their niche, in the community, on the world. The bottom line is that employers receive way too many resumes to read each one and politely reply back. Don’t expect a response when you have no connection with the organization other than the job board through which you submitted your resume, and don’t take it personally when they don’t respond. Instead, focus your time and energy on making connections with the organizations you are most interested in, and you will find you get much better results.